Big changes being considered for Broadway Blvd. KANSAS CITY, Mo. 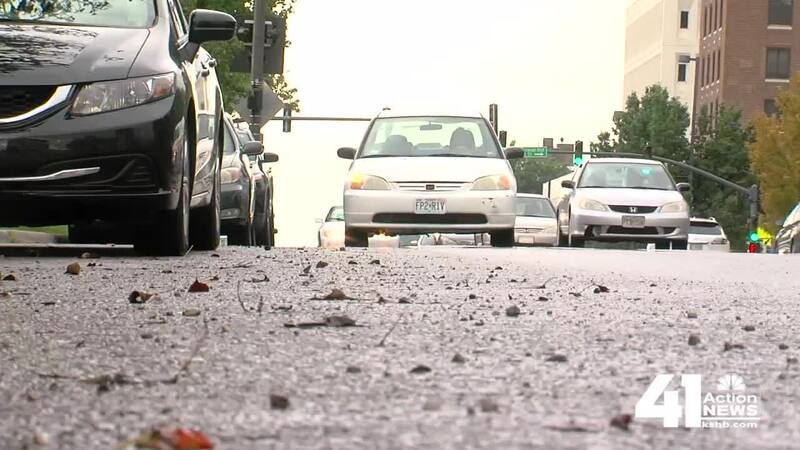 — Broadway Boulevard is one of the busiest streets in Kansas City, Missouri, but it could be narrowed to just two travel lanes with a turning lane to accommodate the addition of bicycle lanes in both directions. It’s one proposal from the Midtown Complete Streets Plan, a city initiative to gather input from different stakeholders during the last several months. Broadway is a link from downtown Kansas City to the Country Club Plaza and passes the popular Westport entertainment district. One of those stakeholders, BikeWalkKC, said this is about safety for bicyclists and pedestrians. “It makes it more comfortable for people walking or biking, because we can allocate more space for pedestrians by taking away a little bit of space that's been dedicated for driving through,” BikeWalkKC Policy Director Eric Bunch said. However, some businesses in Westport don’t support this idea. “They have to carefully consider what it's going to do for the flow of traffic, parking and people getting in and out of Westport,” Papa Keno’s Pizzaria owner David Hawley said. While Hawley understands the concerns and needs of the bicycle community, he fears removing traffic lanes would hurt business. “Making it easy for our customers to get here and get parked, that's one of the most important things," he said. "Making it easy to get into our businesses." Visitors in Westport seemed mixed about the idea. According to the city, this is only a concept for now and it will work with stakeholders to try to build consensus on the vision for the streets included in the plan, including Broadway. The public also has a chance to provide input through the Midtown Complete Streets Public Meeting Survey, which provides a range of options being considered for several Midtown streets. Survey responses combined with other public feedback will be used to draft recommendations for a community-based steering committee. Once a consensus is reached, the city plans to present recommendations to the council for consideration. Today is the last day for the public to weigh in from an online survey .